Would you believe me if I told you we had a Wizards game watch party at a grocery store and a huge crowd showed up? Well we did, and it happened! 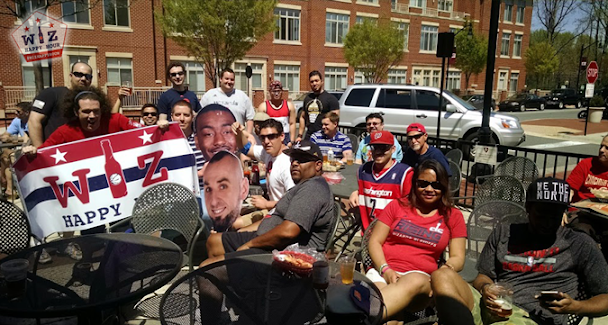 For the first Wizards playoff game of the season, the Wiz Happy Hour crew met up at Whole Foods Fair Lakes in Fairfax Virginia. It was a 12:30pm afternoon start and Whole Foods gave us the perfect opportunity to watch the game and enjoy the beautiful sunny 72 degree weather on their outdoor patio while consuming some delicious craft beers. 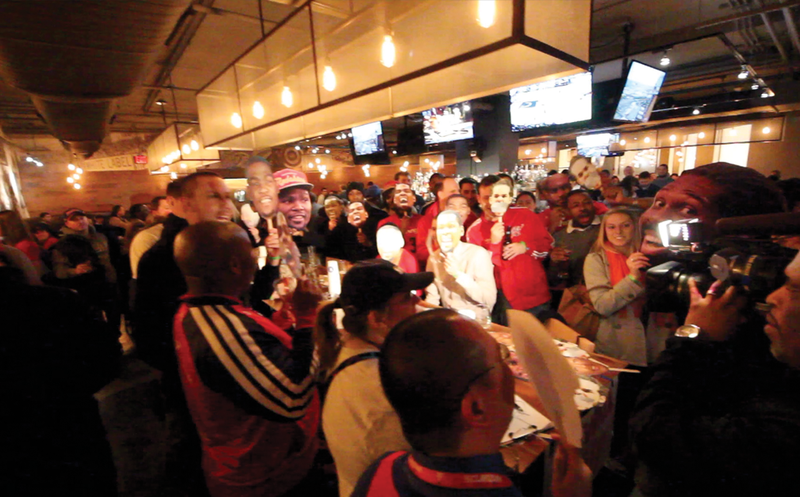 A big Wizards crowd gathered on the patio (and several inside as well) and watched the game with the audio. The Nats game was on the side TV but the focus was on the Wiz. While people were walking in to buy Kale and Coconut Water they had to first walk past the loud crowd of fans in red screaming and clapping like fanatics. Whole Foods has a chalkboard menu of about 8 or so draft beers, all for under $6 and no tip required. The beers are good. You don't have to deal with a waiter/waitress. And hello, its an outdoor patio with TVs and sound. The people at Whole Foods were great. The entire staff basically came out to say hello...and they brought with them delicious wings and shrimp and appetizers for us. 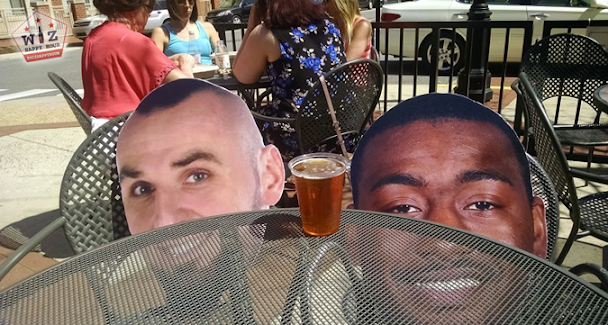 The patio is an amazing place to watch a game (Chad Dukes is right). 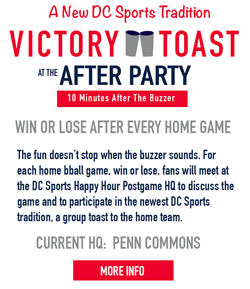 We had so much Wiz fun that we are already starting to plan out a Nats watch party this summer out there.